Personalised Silver Christmas Bell Decoration. 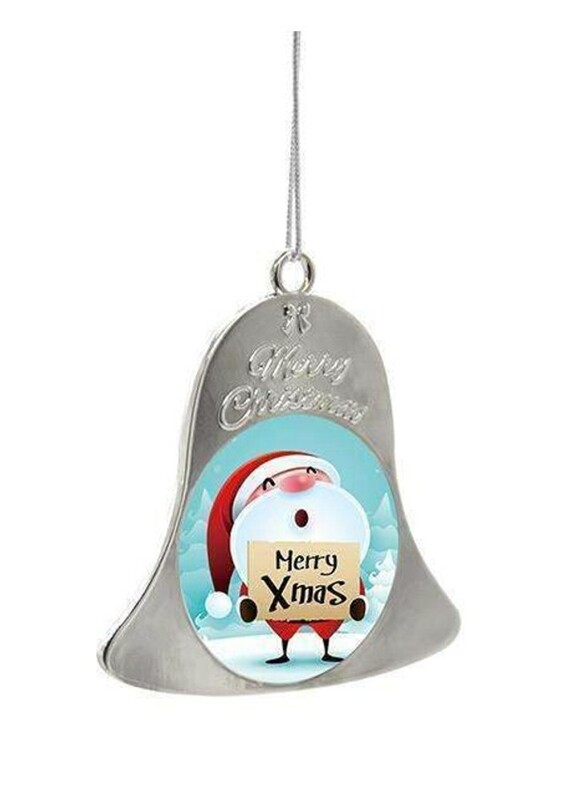 This amazing metal bell is embossed with the words Merry Christmas and a small bow detail. It can have a photo printed on both sides of the decoration. These fantastic ornaments are supplied complete with a silver thread loop for hanging on a tree. The bell measures 60mm high with a 40mm diameter circle printing area for you to add a photo and treasure the special moments and put it on you're tree. These are brilliant as a gift for a friend or family member.